An innovative idea of addressing the people whom he represented as a leader and elected as their MLA. 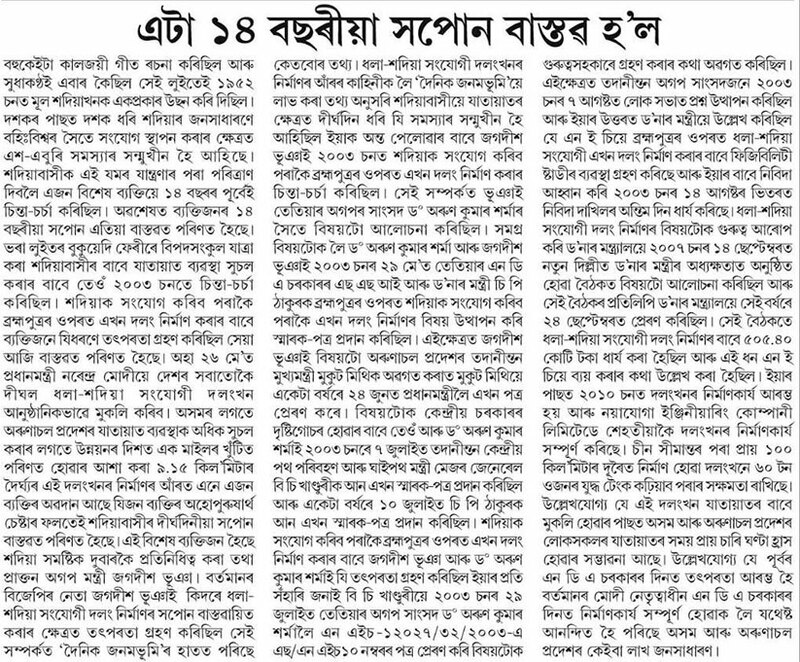 Even after 55 years of country's independence and various MLAs and MPs representing the area no one bothered to work for the bridge except former minister and sitting MLA Jagadish Bhuyan and MP Dr. Arun Sharma in 2003. 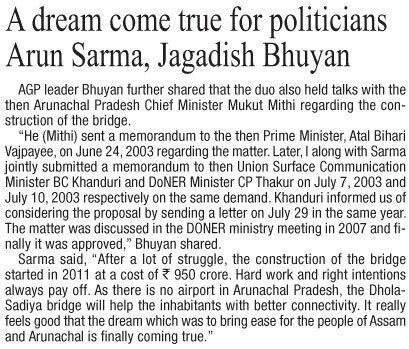 On 7th July, 2003 Jagadish Bhuyan and Dr. Arun Sharma submitted the proposal to Sri BC Khanduri then Union Minister Road Transport and Highways for the Dhola Sadiya Bridge. 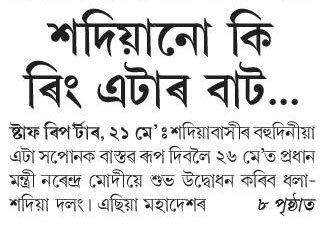 On 10th July, 2003 Jagadish Bhuyan and Dr. Arun Sharma submitted a follow-up proposal to Sri CP Thakur then Union Minister SSI & DONER for the Bridge again. 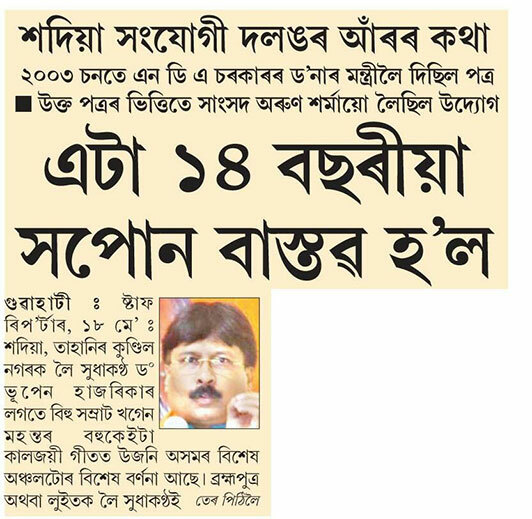 On 7th August, 2003 MP Sri Arun Sharma asked an unstarred question (No. :1979) in Rajya Sabha regarding the Bridge. This is how the initial feasibility study process begun on 14th August 2003 and Construction began in 2011 under the aegis of the Ministry of Road Transport and Highways in public private partnership (PPP) with Navayuga Engineering Company Ltd. This Magnificent Bridge is presented to the people by Prime Minister Sri Narendra Modi on 26th May, 2017.